Goshen Theater • Thursday, 7 p.m.
Great Britain, 2017, 20 min. 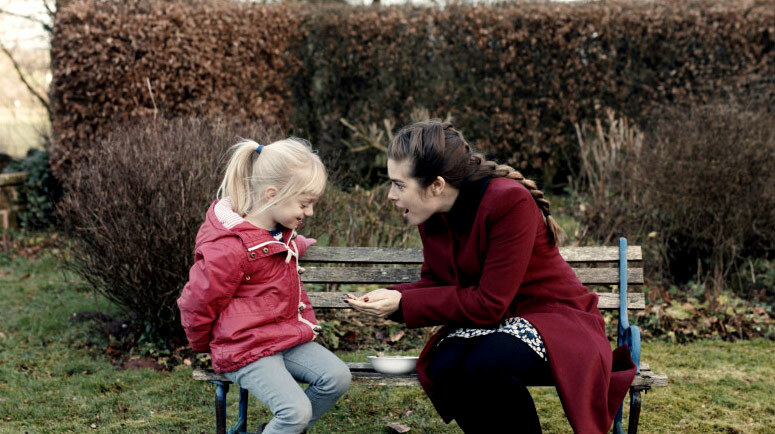 The Silent Child is a British sign-languaged short film written by and starring Rachel Shenton and directed by Chris Overton, and released in 2017 by Slick Films. It tells the story of Libby, a profoundly deaf four-year-old girl, who lives a silent life until a social worker, played by Shenton, teaches her how to communicate through sign language. The film was based on Shenton’s own experiences as the child of a parent who became deaf. The film features profoundly deaf six-year-old first-time actor Maisie Sly. The Silent Child won best short film at the Rhode Island International Film Festival in August 2017, making it eligible for entry to the Oscars. In December 2017, the film was selected as one of the final 10 films in the Live Action Short Film category for the 90th Academy Awards. The Silent Child was nominated for the Academy Award for Best Live Action Short Film for the 90th Academy Awards, which it then won. Shenton kept a promise that she had made to their young lead actress and signed her acceptance speech. India, 2017, 1 hr. 42 min. This critically acclaimed feature film tells the story of a son faced with his father’s untimely and bizarre demand to go and die in the holy city of Varanasi and attain Salvation. Friday, May 4, 10:30 p.m.